Oxford City Council have funded My Life My Choice to make a film about LB. Oxford Digital Media (ODM), a hip and happening video production company, are working with them. (Here’s an example of a recent collaboration between the two organisations, both based in the Jam Factory). Coolsers gone wild. This afternoon, Sam and Guy from ODM came round to meet a few people who knew LB well and get a bit of an idea about who he was. There was no end of stories and laughter. 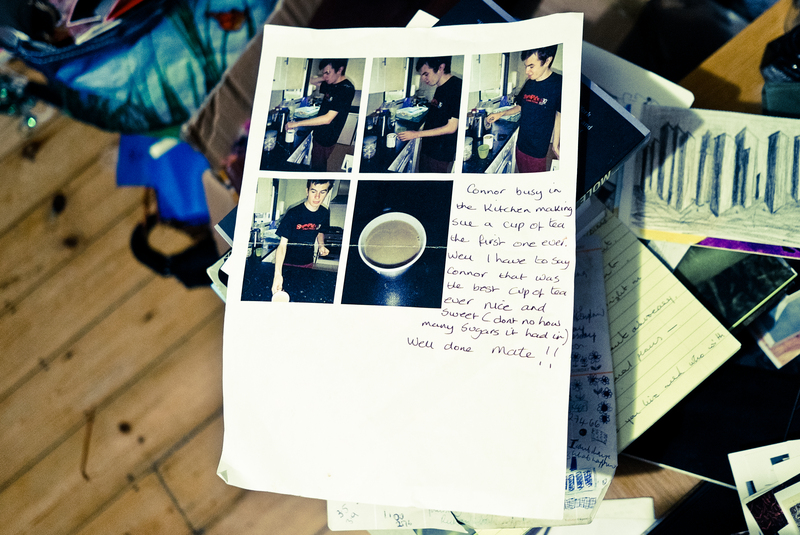 Including a bit of back story about a set of tea making pics that have been pinned on our fridge for a few years. LB rocked the tea making with some novel adaptations. And a cheeky bit of sprinting that still makes me chuckle. This entry was posted in Funny stuff by sarasiobhan. Bookmark the permalink.